Hungry for a snack? 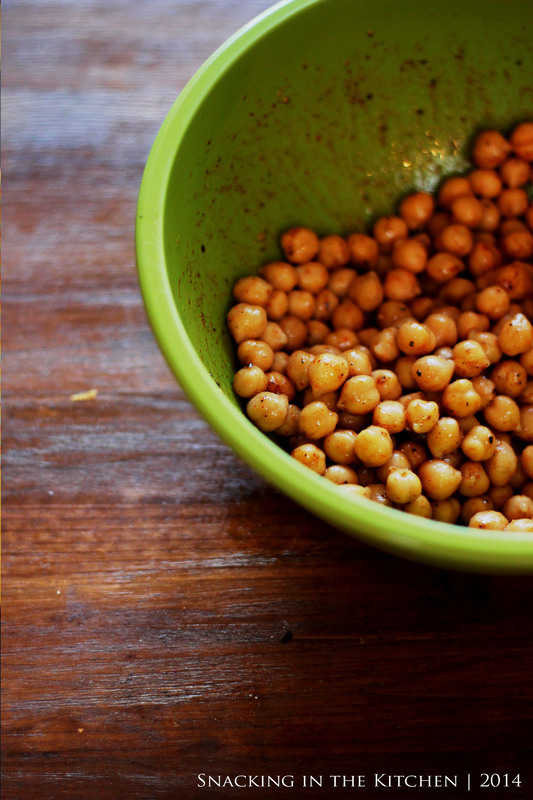 Give these Curried Roasted Chickpeas a try for a healthy, protein and fiber rich snack that works equally well as a garnish, a salad “crouton” and a pizza topping. 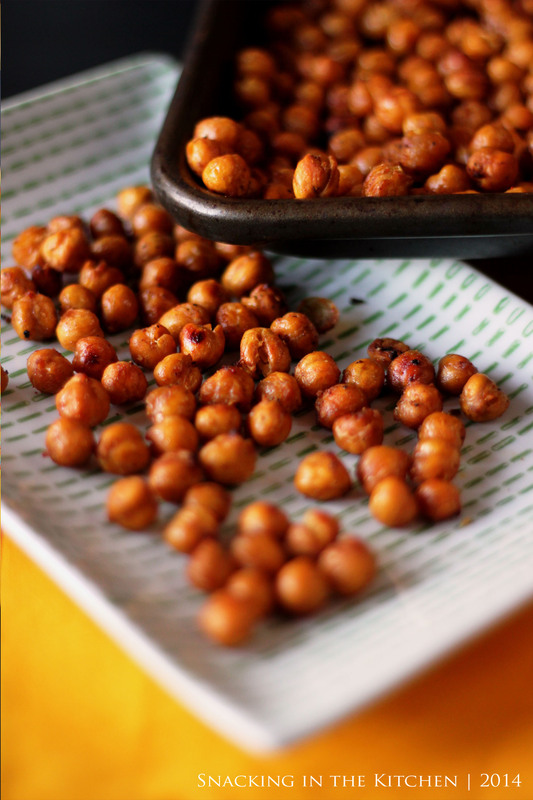 I first tried roasted chickpeas when my sister, the talent behind Mango Tomato was visiting and prepared a batch of these irresistible morsels. A few years later, I create my own version. Best part about it? You get to play with your favorite spices and seasonings to create the best version for you. 2. Mix together all ingredients and transfer to a baking sheet. Spread into a single layer. 3. 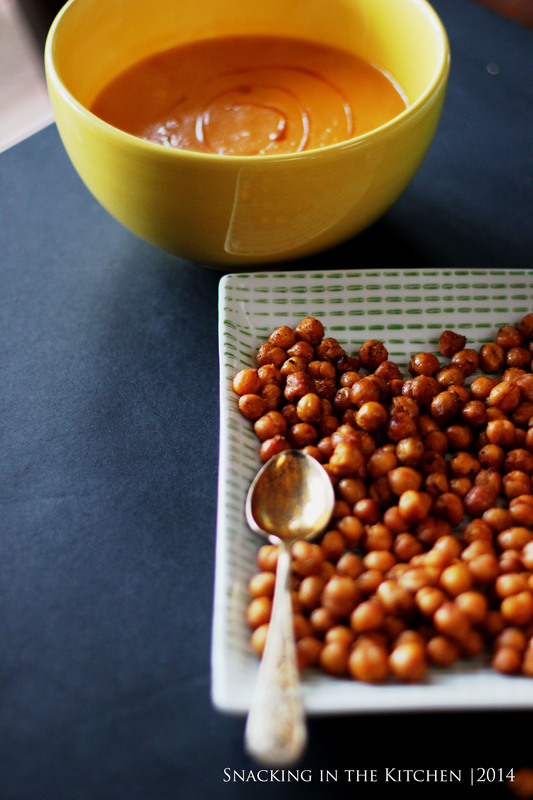 Roast in the oven for 20-30 minutes until chickpeas are crisp. 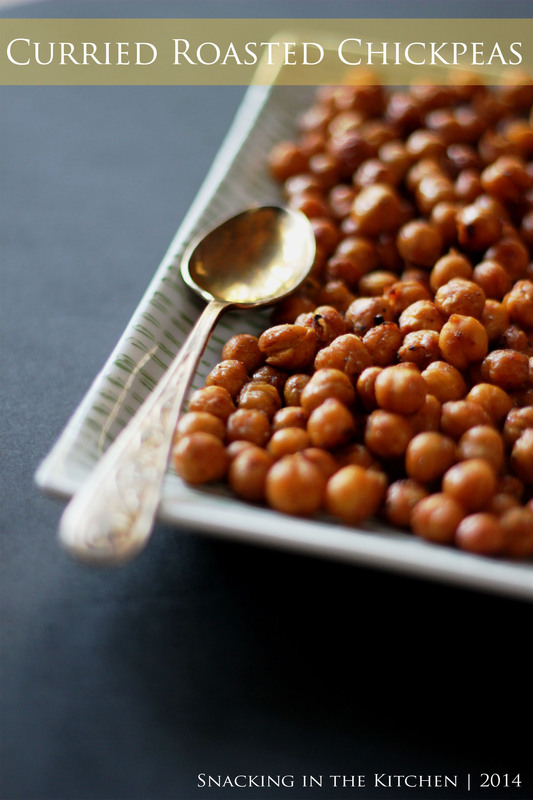 You know what’s better than a single tray of these Curried Roasted Chickpeas? How about two or three? I’d recommend making multiple batches at the same time, perhaps playing with the spices for each batch. You might just find these to be more addicting than potato chips. Here’s a sneak pick of what I paired along with these chickpeas. I tried these tonight! Sooo yummy! Can’t wait to make more as delicious healthy snacks at work. Thanks for the recipe!